An important part of the day involved book reading. 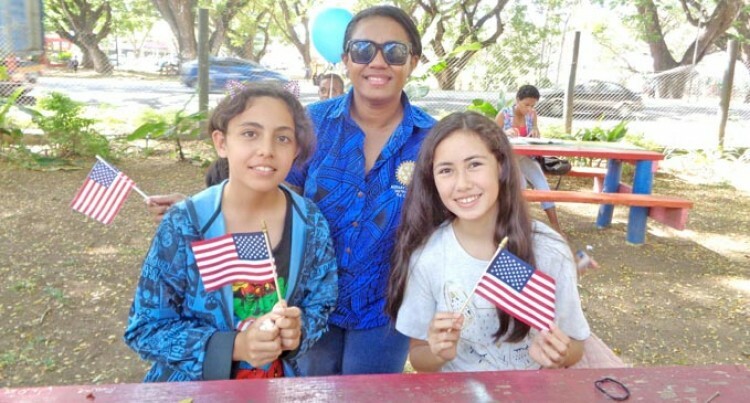 Arts and creative learning were greatly emphasised during the United States (US) Independence Day celebration at the Western Regional Library in Lautoka on Saturday. Parents and students got together to mark the occasion. Melissa Natawake, President of Rotaract Club of Lautoka, said that it was a fun-filled day of learning. Ms Natawake said the children would come up with a lot of ideas every time they met for their weekly book reading. She said children tended to face a lot of challenges in this highly-demanding world. “Abuse and lack of support is highly concerning,” Ms Natawake said. “It’s a great platform to get social awareness out on different issues faced in our communities. Karohamea Huck, a member of the club, said creativity was really important in a person’s life because it was something which defined the individual.